A flexible and changing manufacturing footprint? An idea that Industry 4.0 and data analytics could help your business but aren’t sure how? Webinar: to automate or not? The IfM’s Distributed Automation and Information Laboratory (DIAL) has developed a structured approach to guide you through the decision-making process. Overview - evaluate products, processes and current levels of automation. Opportunity - identify and rank opportunity criteria. Scoring automation opportunities. Assessment - plot and review projects. Develop a progressive and integrated automation strategy. Our approach highlights and prioritises the steps you need to take in order to progress along the ‘Automation Maturity Path’ and has been used successfully with a number of leading companies including Jaguar Land Rover, Foxconn and Schlumberger. a full assessment of your current production capabilities and your automation objectives. identification of the areas you could automate and analyse the feasibility of each option. developing a structured and prioritised implementation pathway. working with your production engineers so that the assessment is robust and we build a shared, company-wide vision for your automation strategy. The company was looking to improve operations and reduce its head count in the context of rising labour costs, more demanding customers, limited design input and having a flexible and changing manufacturing footprint. The project clarified automation objectives, gave focus and direction to the international automation team and highlighted important differences between sites and products. This resulted in the development of a clear picture across the company and a consistent approach to analysis for multi-site manufacture. The company is now rolling out the assessment approach across six plants. An experienced and expert automation team was evaluating three material handling projects, each with a range of possible solutions. We worked with the company to identify the best fit solutions and to prioritise the work accordingly. 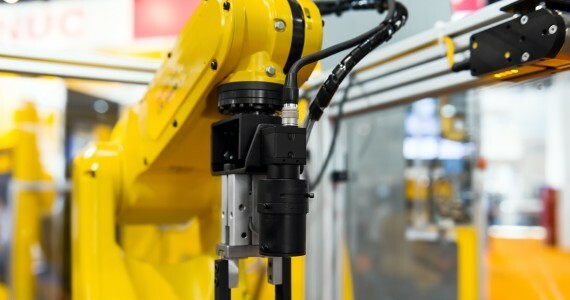 By providing a logical and structured approach to considering the automation opportunities, previously unconsidered benefits and drawbacks were revealed. The company wanted to modernise its manufacturing in order to reduce costs, support geographical expansion and be more flexible in its manufacturing capabilities. It had already identified a number of automation opportunities but needed a way of categorising and prioritising them. The project reviewed plant structures and then looked at opportunity and feasibility criteria and rankings in order to make decisions about each project both individually but also collectively, taking a company-wide, consistent approach. Find out more about the automation assessment tool on our research pages.